VLC Media Player is one of the best free programs available, but it can do much more than simply play videos files. 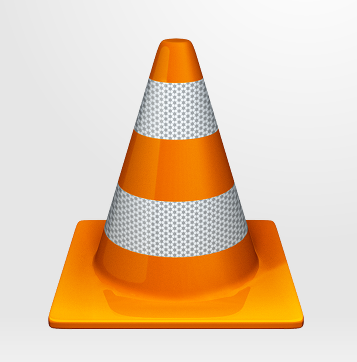 Here we reveal eight brilliant VLC tips. There are many excellent video converters available, but you don’t want to overburden your PC by installing one unnecessarily. VLC Media player not only converts video and rips CDs and DVDs, it can also rip love streams and network streams to a designated media file. What to do : To get converting and ripping, open VLC and click Media, Convert/Save. In the Open Media window, add the source media: either a file, disc or URL. Once you’ve added the source media, click the Convert/Save button. The next step will be to choose a destination and type of media format to rip/convert to, along with options for that particular media format. When you’ve done all that, click Start. We take video-streaming for granted these days, but VLC has been doing it for ages, and it’s a lot more powerful than you think. Here’s how to stream a video file on your PC to other devices on the network. What to do: From your host machine, open VLC and go to Media, Stream. On the file tab, select Add and browse to the location of the video file. Click the show More Options tick box and, in the Caching box, increase the number of milliseconds from the default 300ms to something like 1000ms. Now click the stream button. When the Stream Output window opens, make sure the Source is correct and click Next. In the Destinations section, select RTSP from the drop-down and click Add. In the path box, after the forward slash, type a name for the address, (such as Media), and remember the port number (usually 8554). Untick Activate Transcoding (because it can cause problems) and click Next. Tick the boxes for ‘Stream all elementary streams’ and ‘SAP announce’, and type the name of the video, along with a ‘Group name’ (such as Movie, or something similar). When you’re ready, click Stream on your PC, and Play on the device(s). The video file will now be streamed across the network to any devices that are set up to view it from that address. If the above method sounds too fiddly, VLC offers a number of other ways to stream video. Have a look at the VLC support pages. VLC can also be used to listen to and manage internet radio stations and podcasts. What to do : Open your Playlist by clicking View, Playlist (or pressing Ctrl+L). Next, scroll down the list on the left until you reach Internet and expand the link. To enter a new podcast, simply click the ‘+’ sign that appears and enter the URL. To listen to internet radio, try using the Icecast Radio Directory. Just click this options and wait for the feed to catch up. VLC makes it very easy to record videos during playback. What to do : Start by clicking View, then Advanced Controls. The Record button should now become available. Next, get the video ready and click the Play button, followed by the red Record button. The recorded video will be saved to your My Videos folder. As well as record the video stream as it’s playing, VLC can also take excellent screen grabs. What do to : During playback, hit the Pause button then right-click the video screen. Navigate to Video, Take Snapshot to get a blur-free screen grab saved to your My Pictures folder. VLC lets you play around with some unusual effects to make your videos more interesting. However, we wouldn’t advice making them a permanent on a really important film, such as a wedding video, for example. What to do : While playing a video, click Tools, ‘Effects and Filters’. Browse through the various tabs, and the options within. You’ll find more experimental tools under the Advanced tab. From here, you can apply water effects, mirrored viewing, waves, motion blur and psychedelic effects to your videos. The result are very impressive. This effect converts your video images so they are made up of ASCII (American startd Code for Information Interchange) text. What to do : Before playing the video, go to Tools, Preferences. Click the Video section on the left of the Preference Screen. In the drop-down box next to Output, scroll down until you reach ‘Color ASCII art’video output’. Save the setting. and play the video. VLC will open in a separate window and start playing the video in full – color ASCII. VLC is capable of playing video files from within compressed files, such as ZIP archives. These will play as normal videos. If the file is in multiple parts, you’ll be able to skip back and forth between each part. What to do : Open VLC and click Media, Open File. Browse to the location of the compressed file, or the first part of the split compressed files and click Play.